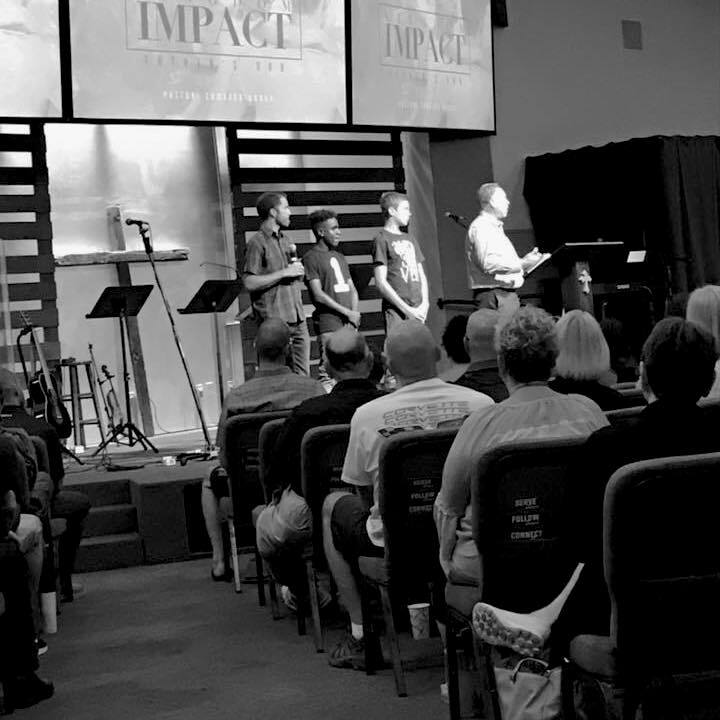 This Sunday we commissioned two young men Sunday Titus and Malachi who have an opportunity to bring the love of Jesus to Nepal & North Africa this summer. Read about this amazing journey that they will be taking this summer. There are about 28,000,000 unreached people in Nepal, which is about 97% of the country’s population. In Nepal I will be doing street evangelism with people and spreading the word of God in remote places. I will have the opportunity to hike to distant villages and spread the great news of Jesus Christ. I am hoping on this trip I will be able to see God’s work at hand. I am also excited to pray as a team over these people. I will get to pray for people with leprosy like Jesus did for people on earth. I recently, read Matthew 28:19 when Jesus says these words, “Go therefore and make disciples of all nations, baptizing them in the name of the Father and of the Son and of the Holy Spirit.” And in that verse, it says the word Go, and each time I read that verse I feel the urge to spread the word of Jesus with others. Would you consider supporting me in prayer around the areas of wisdom, courage and anxiety for me? And that the people of Nepal’s hearts are open to hear the gospel? I am very excited to love and serve people who are not aware of the loving Father we have and that there is nothing we can do to earn salvation but that it comes by faith alone in Christ’s work on the cross. The country I’m going to has 35,181,000 people and 35,168,000 are considered unreached, which means that they have never even heard of the name of Jesus. Our team will be building relationships with the locals and getting to know them. It is a predominantly Muslim country and when we arrive they will have just finished Ramadan. That is a time when Muslims fast for a month during the day in hopes of receiving wisdom. I am praying that through that time they will have more questions then answers, and will then be more open to talking about Spiritual things. We will also be spending lots of intentional time in deep prayer for this country and the people there. I would really appreciate if you would pray for the people I will meet, that God would prepare their hearts and draw them to Him. Please also pray for safety and wisdom in what to say. We appreciate your prayers as we prepare to leave and while we are gone, partnering with us in this work.